Are You Afraid Of The Taxman? R.J. Rushdoony: 00:01 Are you afraid of the taxman? This is R.J. Rushdoony with a report on our threatened freedom. Last Saturday night, I heard a Western rancher, a fine and able man, admit to a fear. He is afraid of the IRS taxman. They have all the resources of the federal government behind them and a lone man can rarely afford to fight them. I thought of his comment today as I read a news report that there are about 71,000 federal, state, and local agencies in the United States with the power to levy taxes direct or indirect. My friend was worried about one big bad wolf at the door. We have an army of them out there. R.J. Rushdoony: 00:53 It seems ironic to think that the United States began with a tax protest movement over a very minor tax as compared to today. We pay now a higher percentage of our income in taxes in a day than the colonists paid in a year. Granted, there were other and very important political considerations in 1776, but we have all those problems with us now, only greatly magnified. Did you know that you have no absolute legal right to any of your income? The 16th amendment, the income tax amendment, has not a single restricting clause. Congress is given a blank check with respect to our income. This is why what we are allowed to keep is called an exemption. It takes an act of Congress to tell us what we can keep for ourselves. R.J. Rushdoony: 01:57 If this sounds grim, it is simply because it is so. With all the talk about the power of private lobbies representing capital labor, education, the taxpayers, and so on, why don’t we hear about the 71,000 governmental agencies with powers to tax us and to lobby against us? Does anyone imagine that this vast bureaucratic empire ever works for lower taxes or for more freedom for us? All too often. When we hear screams from Washington about funds for the needy and aged being cut, what the screamers really mean is that funds to an imperial bureaucracy are being cut. It is interesting to note that when the czar was overthrown in old Russia and the Bolsheviks took over, the same old bureaucracy went marching on bigger and steadily, more powerful than ever before. Civil governments in this age of revolutions come and go, but the bureaucracies stay and keep on growing. Few people get worked up over that and their empire expands steadily. R.J. Rushdoony: 03:20 We all make noises about the defects of our presidents, one after another, usually with good reason, but we forget that the presidents accomplish little as compared with the vast bureaucracies and the 71,000 taxing bodies. These are the agencies which are steadily and quietly eating up our freedom. Seventy one thousand taxing agencies in the United States and God only knows how many thousands of bureaucrats in all those agencies. No wonder our freedom is waning. 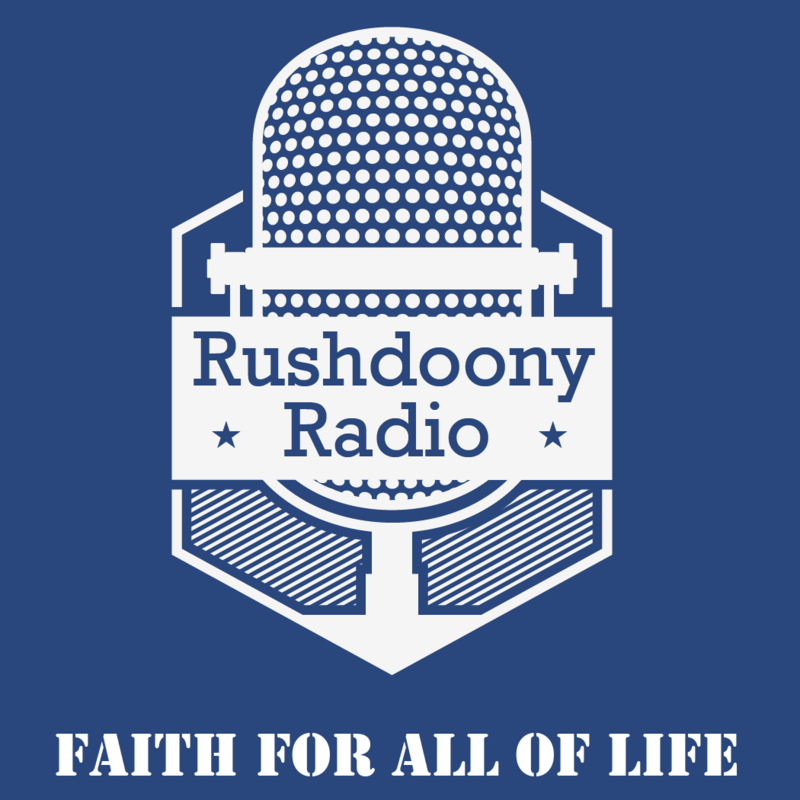 R.J. Rushdoony: 04:05 This has been R.J. Rushdoony with a report on our threatened freedom.